Taken from what’s said to be the late show on Sept. 22, 1973, the third night of a four-night, eight-show run at the then-brand spanking new Roxy Theater in Los Angeles, it presents Neil’s “Miami Beach” vision in its nascence, he and the Santa Monica Flyers performing a solid and oft-inspiring set that, like Rock ‘n’ Roll Can Never Die, is stronger than the Tonight’s the Night acetate found on the Broken Arrow boot. One high: Nils Lofgren’s solo on “Speakin’ Out.” Another: the mellow “New Mama,” which is part and parcel of the yin-yang theme that permeates the entire Tonight’s the Night acetate, tour and eventual album. Life and death go hand-in-hand, you know. Unfortunately, as a CD, Sunset Strip does suffer from some serious flaws. First and foremost, the sound is not what most neophytes would term acceptable. At times, the music crackles and threatens to break up – well, it does break up but, still, it’s listenable…maybe only for someone like me who thrives on Tonight’s the Night-tour sets, though. Let’s put it this way: I’ve heard much worse recordings from that tour and enjoyed them, too. Another major flaw: You know the sound some cassette players make when you fast-forward a tape? That squeaky, squished sound that radiates from the speakers like a high-pitched wheeze? You’ll hear that between some of the songs. Neil’s patter isn’t presented in its entirety, in other words, thus stealing from the impact of the performance. 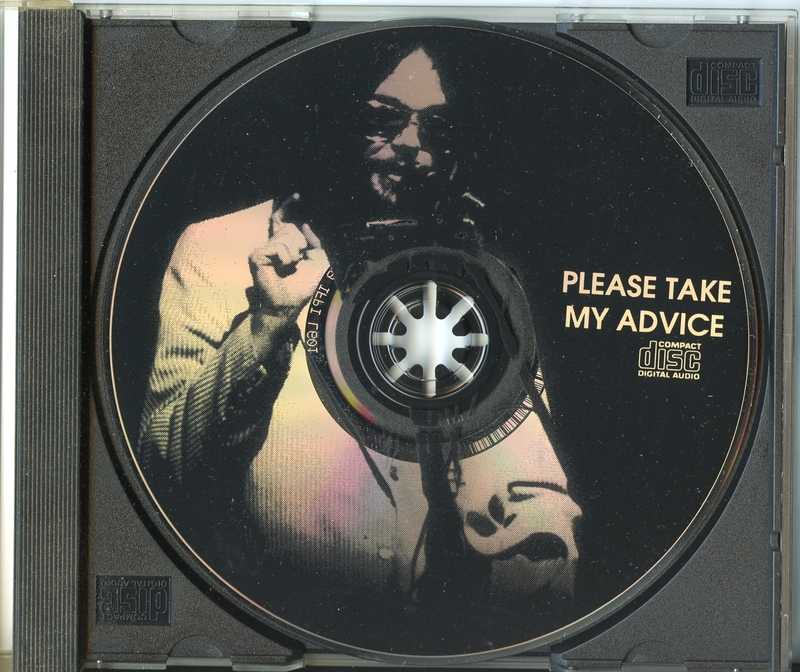 In fact, the choppy and incompetent editing is what most mars the CD. As far as the bonus material, it’s taken from the Time Fades Away tour – March 17, 1973 in Seattle, to be exact, which featured the debut of “Yonder Stands the Sinner.” The performance here of that classic should be familiar, as it’s the same performance which was used for the Time Fades Away album. Soundwise, there is an improvement – but not a drastic one. This disc is really for those seeking to complement other boots that document the same era. My thoughts circa tonight (4/26/2018): I’m either a tad generous above regarding sound quality or my standards have substantially increased. I plugged the CD into the CD player and…wow. Just wow. The sound is absolutely atrocious. 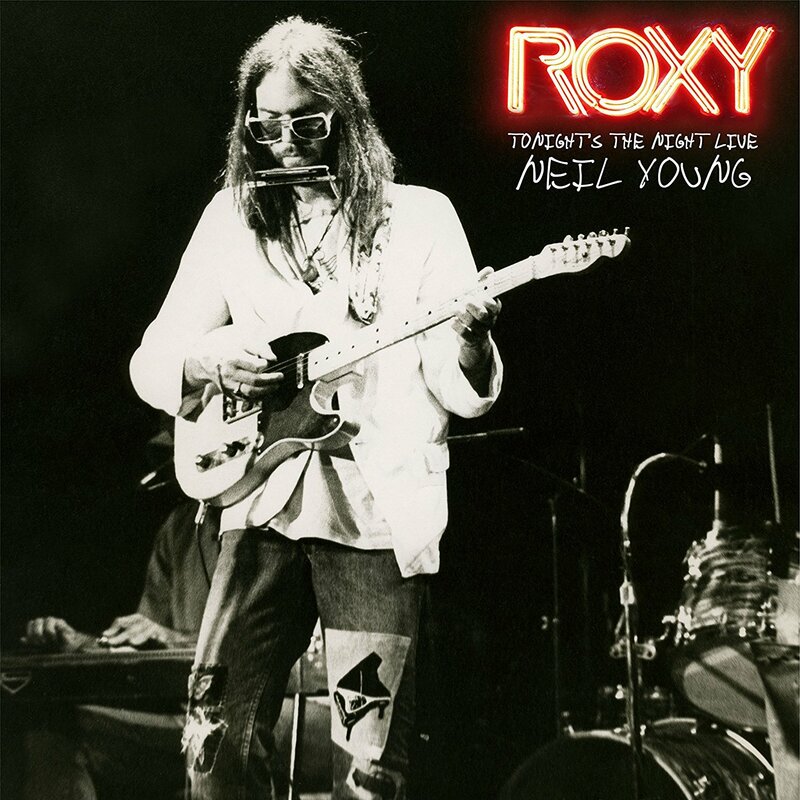 I woke this morning to find an email from Neil Young (actually, Warner Brothers) in my inbox encouraging me to download Neil’s latest archival release, Roxy – Tonight’s the Night Live. The set, for those unaware, captures Neil and the Santa Monica Flyers in performance at the now-legendary Roxy Theatre in L.A. in 1973. They were the first band to play in the hallowed hall, though this set isn’t entirely the first show – it features material recorded from September 20th through the 23rd. It’s a remarkable set, well worth the purchase (though it can be streamed over at the Neil Young Archives for free at the moment). Of course, I like to contemplate, cogitate and ruminate before offering a review. So I thought, instead, I’d reach into my own digital archives while I give the set a few more listens. 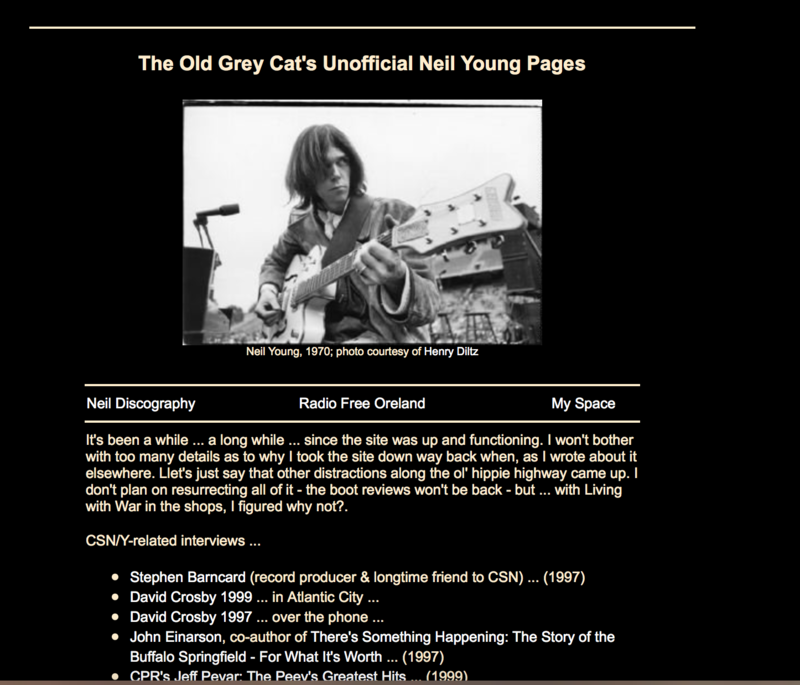 Back in the day (aka the late ‘90s to mid-‘00s), I should explain for newcomers, I oversaw a website also called The Old Grey Cat. The original aim was to create an online encyclopedia of my and Diane’s favorites – and we each had sections and features on many artists, and even – via live365.com, which at the time offered dirt-cheap plans – a radio show, of sorts. 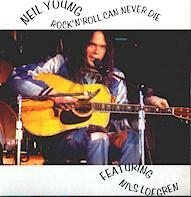 But the primarily focus of the endeavor quickly became my “Unofficial Neil Young Pages,” which delved into the world of bootleg CDs. Last Dance: Cripple Creek Ferry, Here We Are In the Years, L.A., Soldier, Out on the Weekend, Old Man, Heart of Gold, The Loner, Everybody Knows This Is Nowhere, Time Fades Away, New Mama, Alabama, Don’t Be Denied, Cinnamon Girl, Lookout Joe, Southern Man, Last Dance, Are You Ready for the Country? In retrospect, 1973 may well be one of the most important years in Neil’s artistic development. Following Danny Whitten’s overdose death in November ’72, which occurred after Neil sent him home from rehearsals for the upcoming tour, a shaken Neil regrouped with The Stray Gators, and launched a three-month tour that was deemed ramshackle by the rock press and many fans enchanted with the mega-hit Harvest LP. The sets were generally short – 75 minutes or so – and the songs themselves were unkempt, fraying at the edges. By tour’s end, with Neil’s voice by then ravaged, David Crosby and Graham Nash flew in to provide assistance – the result of which can be heard on the live album which resulted from that tour, Time Fades Away. 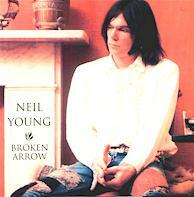 Neil has always characterized that album as an “honest” album – it documented “where he was at” at the time. It also contains stark, powerful songs that speak universal truths about the human condition. They’re plaintive, raw, the kind of material that isn’t readily accessible. Time Fades Away itself is part of the three-album arc that includes Tonight’s the Night and On the Beach, and is an important chapter in Neil’s evolution. That it hasn’t been released on CD as yet is a shame. 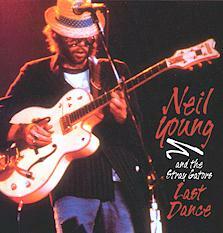 Lonely Weekend and Last Dance document two nights from what became the “Time Fades Away” tour. Six days separate Neil’s maiden Maple Leaf Garden concert in Toronto (1/15/73) and the appearance at New York’s Carnegie Hall, on Jan. 21st in 1973. Lonely Weekend‘s set-list includes “Journey Through the Past” coupled with “Borrowed Tune,” and an electric set that rocks: “Alabama,” “Last Dance,” “Don’t Be Denied,” “Cinnamon Girl,” “Lookout Joe” and “Southern Man” cap the night in fine form. 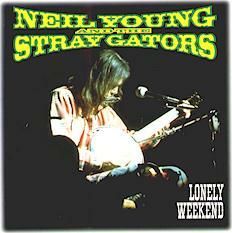 Last Dance continues the pace unabated, adding in such live rarities as “Cripple Creek Ferry,” “Here We Are in the Years” and “Soldier.” The not-so-rare “The Loner” is another treat; Neil and the Stray Gators’ “cook,” to use an aged expression. Both boots suffer the same relative flaw, however – they’re audience tapes and, as a result, the sonics are a bit flat. That said, they’re actually above average as far as audience tapes go and more than listenable. One’s no better than the other, but neither is worse, either. 1973 didn’t end with those shows, of course. By early summer he’d regrouped with CSN to record an album tentatively named Human Highway. The project collapsed soon thereafter due to ego conflicts (for a hint of what might have been, check out Winterland Reunion) and by August Neil was back working with the surviving members of Crazy Horse and Nils Lofgren, who sat in on guitar. Remember, too, that Bruce Berry (a CSNY roadie) died that year from smack. When Neil and the guys gathered at the recording studio, they’d drink tequila until the mood was right – and then stare into the abyss. Or something to that effect. The acetate for the Tonight’s the Night Neil originally planned to release – but shelved instead – has come to light in recent years. Mine is titled Broken Arrow (not to be confused with the 1996 studio album of the same name) and comes coupled with an acoustic BBC performance from 1971. The first thing to understand is that it’s not the same album as the Tonight’s the Night released in 1975. Check out the lineup for starters: “Tonight’s the Night,” “Mellow My Mind,” “Roll Another Number,” “Tired Eyes,” “Speakin’ Out,” “Walk On,” “For the Turnstiles,” “Bad Fog of Loneliness,” “New Mama,” “Winterlong,” “Borrowed Tune” and “Traces.” It’s interesting, not necessarily weaker than the released version’s but – to me -nowhere near as intense. Maybe it’s the lack of “Come on Baby Let’s Go Downtown” and the second “Tonight’s the Night,” the fact that the second half of this set, save for “Borrowed Tune,” isn’t really connected to the tragedies of 1973 per se. They’re good songs, don’t get me wrong, and Neil and the band do bring them all justice – “Bad Fog” and “Winterlong” both chug along rather nicely in the arrangements here, and “Traces” is one of the best unreleased tracks in Neil’s arsenal. At the same time, the songs also steal from the overall impact of the album’s overt theme concerning willful and not so willful self-destruction. As a CD recording of an 25-year-old acetate (a vinyl test-pressing), there’s plenty of pops, crackles and hiss here. In other words, the sound isn’t very good. Of the three CDs reviewed here, it’s the one I’d least recommend to casual or new fans but the one I’d first suggest to fanatics. Don’t be denied, indeed. All four: A. 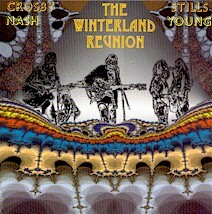 And one more, also from ’73 – my take on the aforementioned Winterland Reunion. 1973: It was a bad year, a sad year, a year for the history books. “The pall of the Watergate is upon us,” reflected Supreme Court Justice Harry A. Blackmum in an address to the American Bar Association that August. So true. America, it seemed, was fraying at the seams. Not only was there the Watergate matter, but there was an economic crisis, an energy crisis–and, to bring the crises closer to home, an aborted CSNY reunion. The foursome had come together on Maui in Hawaii, recording a bevy of songs (“Human Highway,” “Pardon My Heart,” “And So It Goes,” “Prison Song” and “Homeward Through the Haze,” among others) before … yep. The same-old, same-old ego-conflicts arose. “It would have been the best album we ever made,” Crosby told writer Johnny Rogan. In short: What a show! One highlight is Neil’s “Human Highway,” during which he and Stephen trade off verses. Other highlights: “Wooden Ships,” “Blackbird,” “As I Come of Age”…uh, wait. Let’s do it another way: See the track listing up above? Those are the highlights! Really. Soundwise, this is superb, with its only drawback being inexplicable one- or two-second drop-outs during a few of the songs.